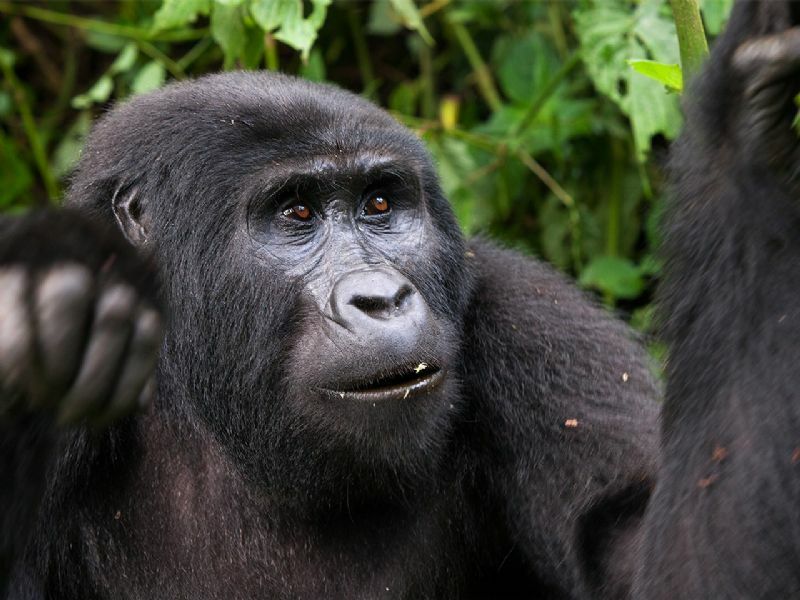 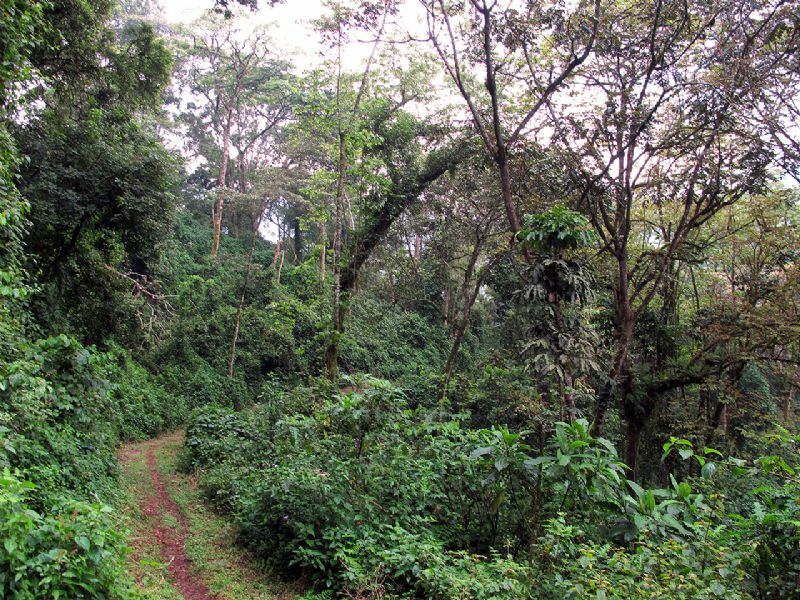 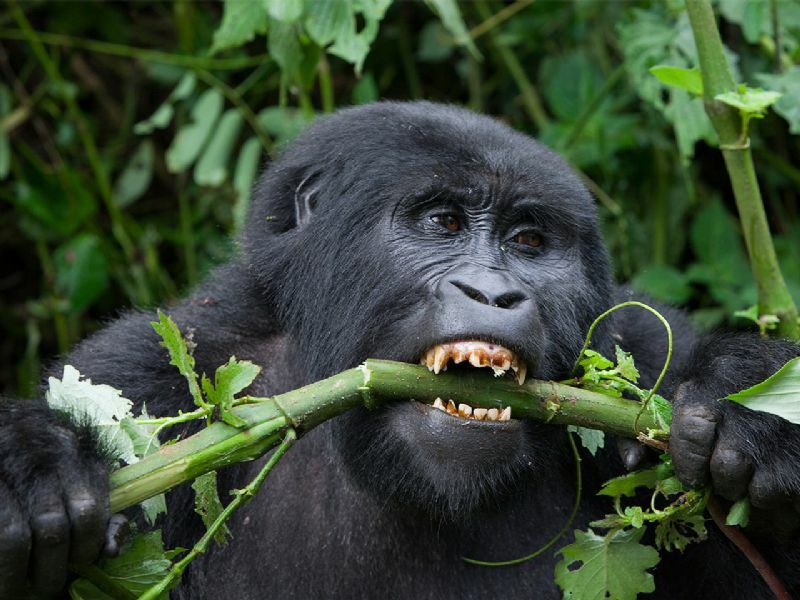 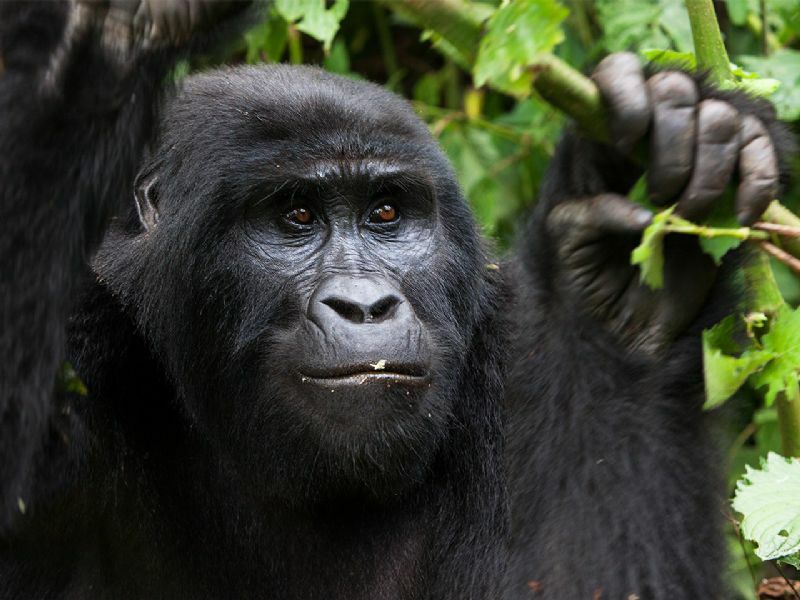 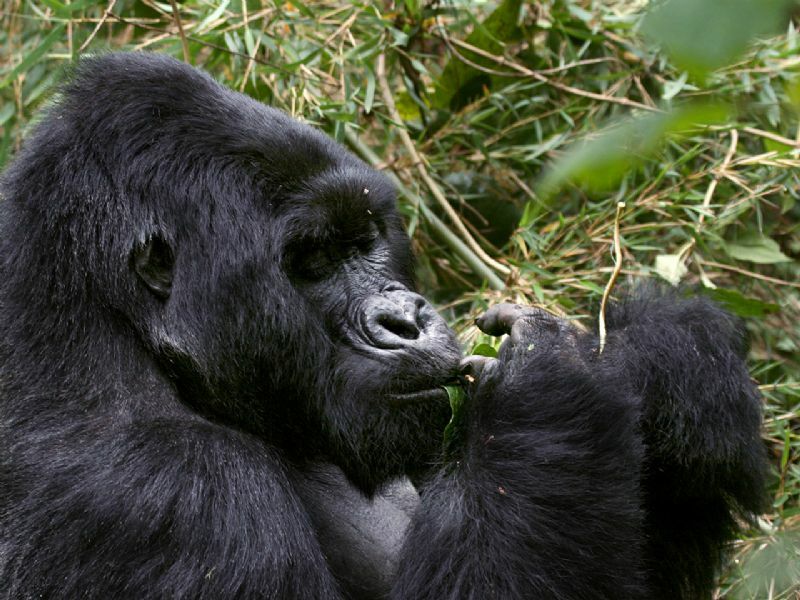 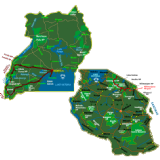 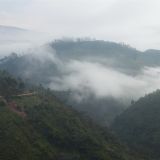 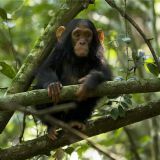 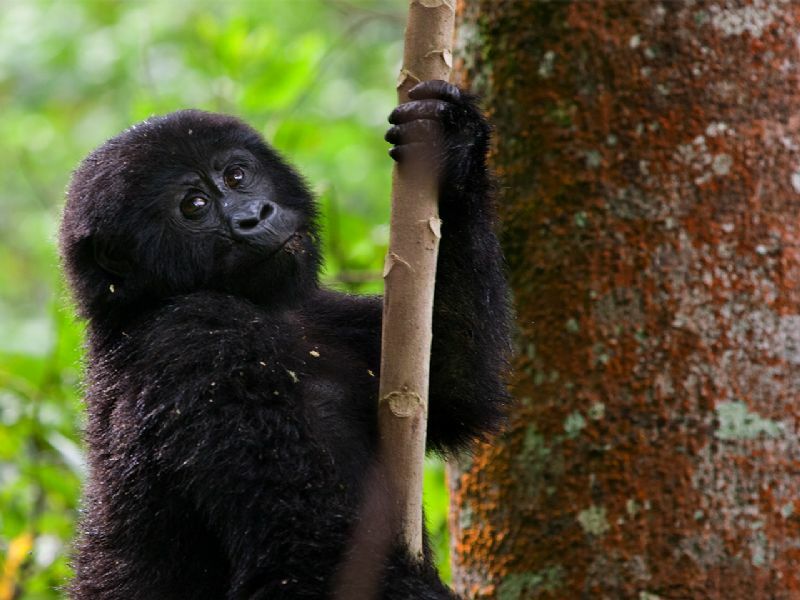 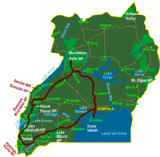 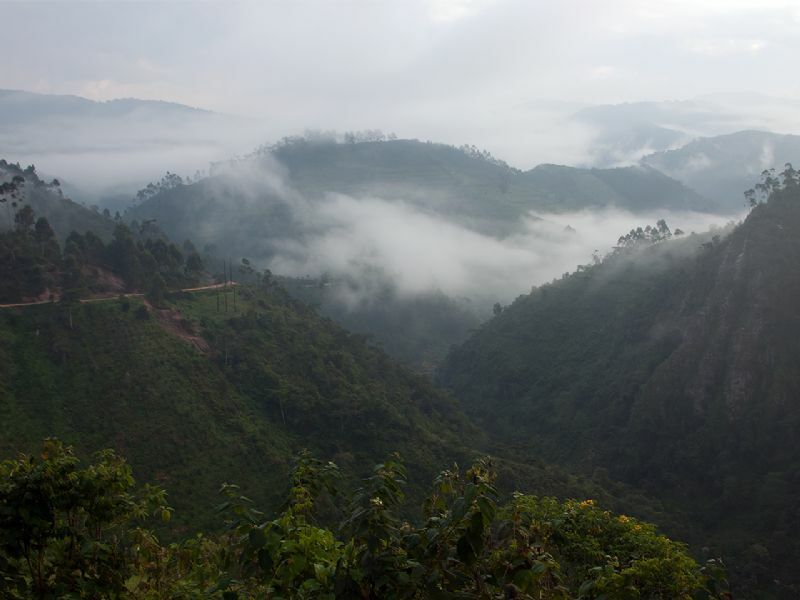 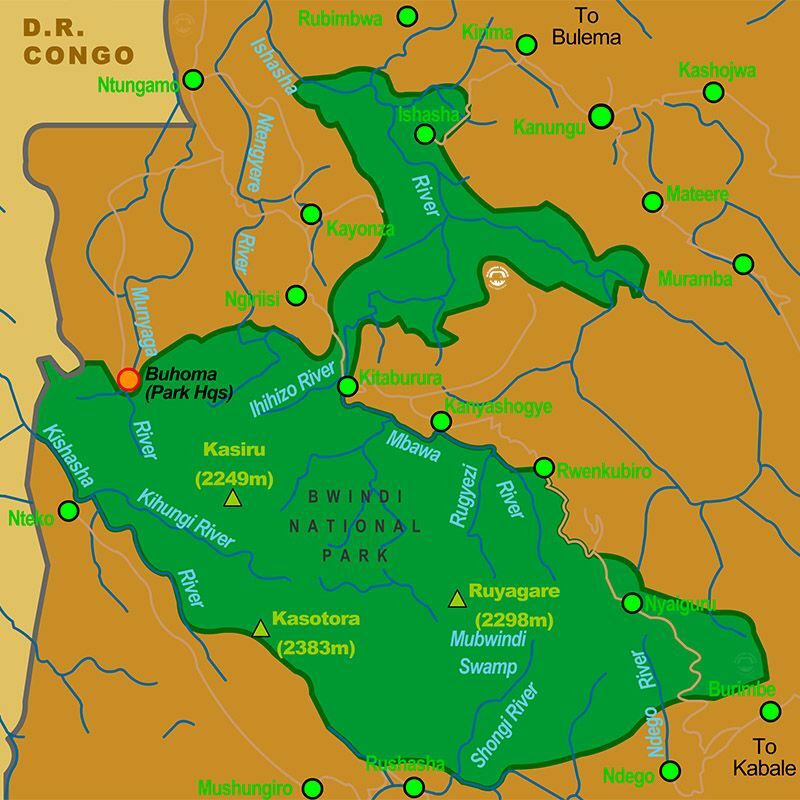 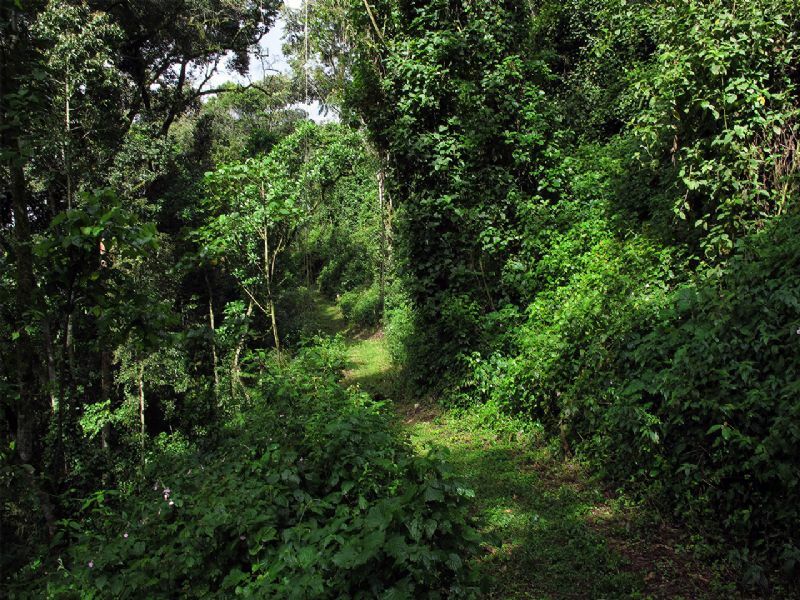 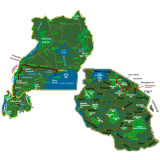 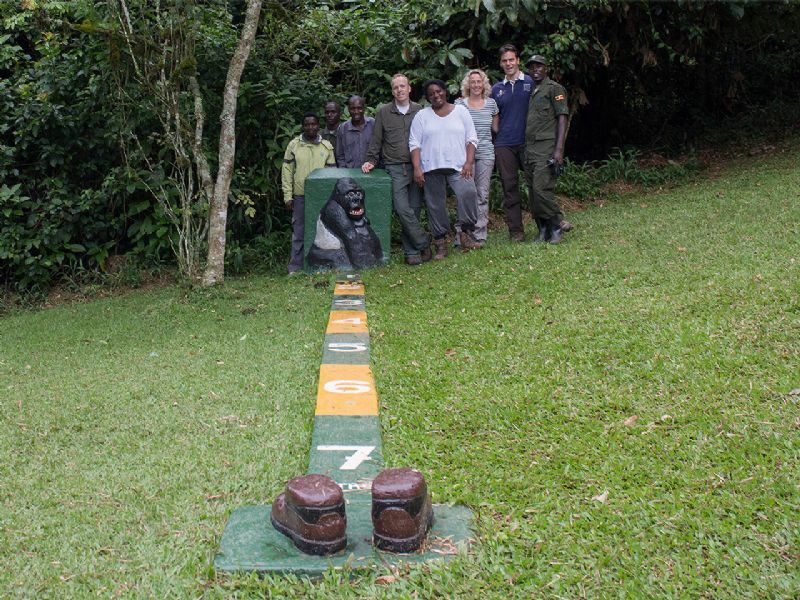 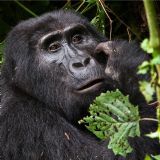 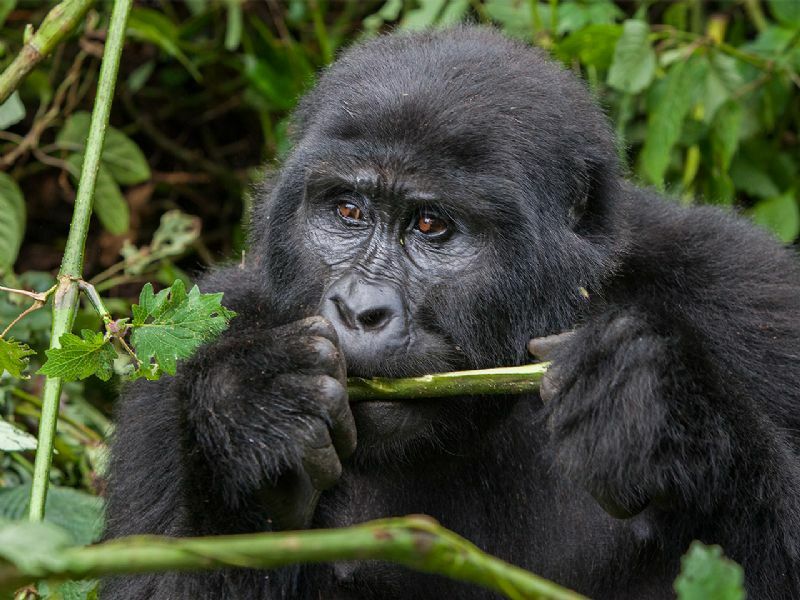 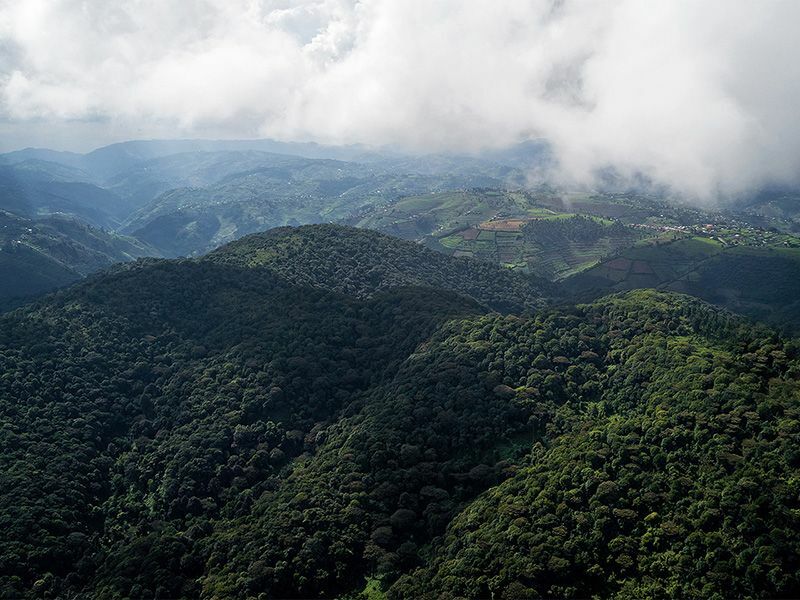 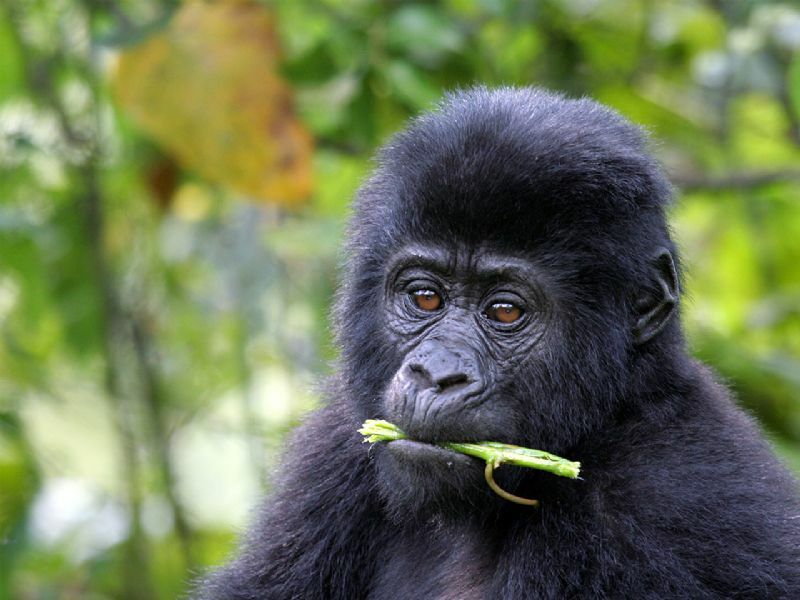 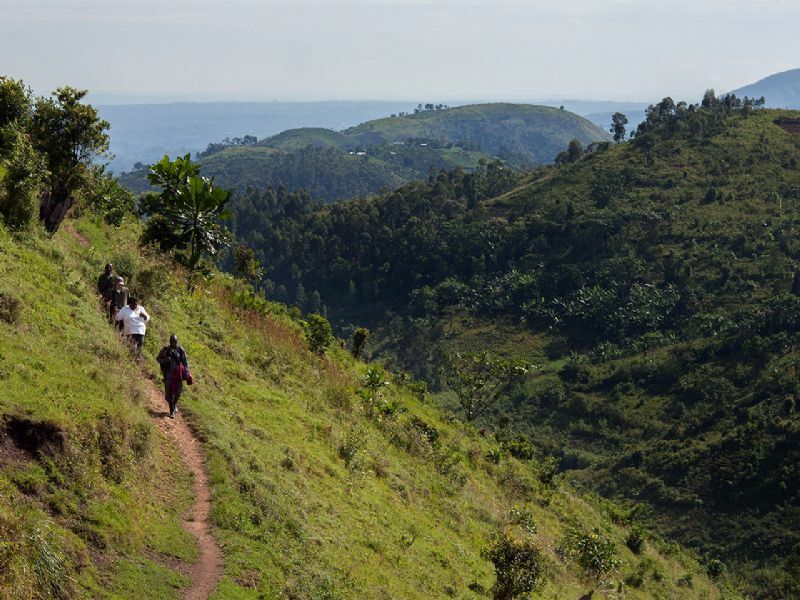 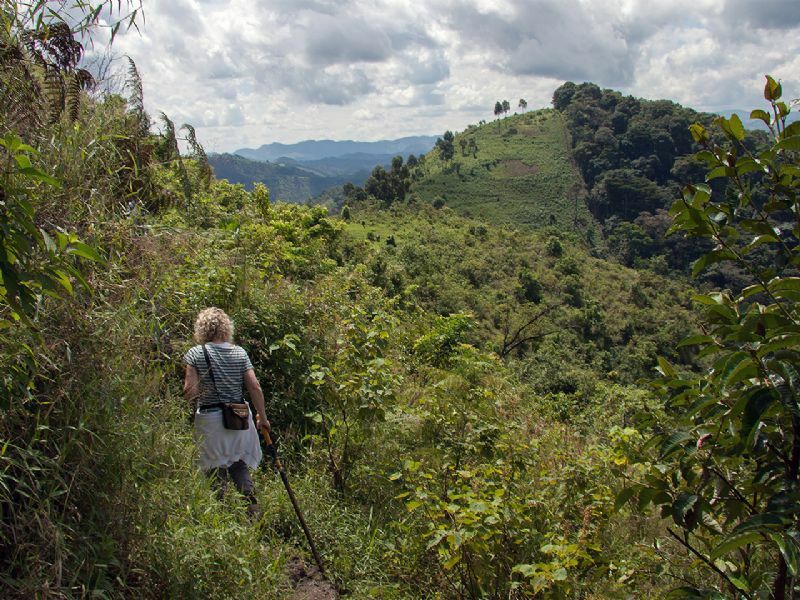 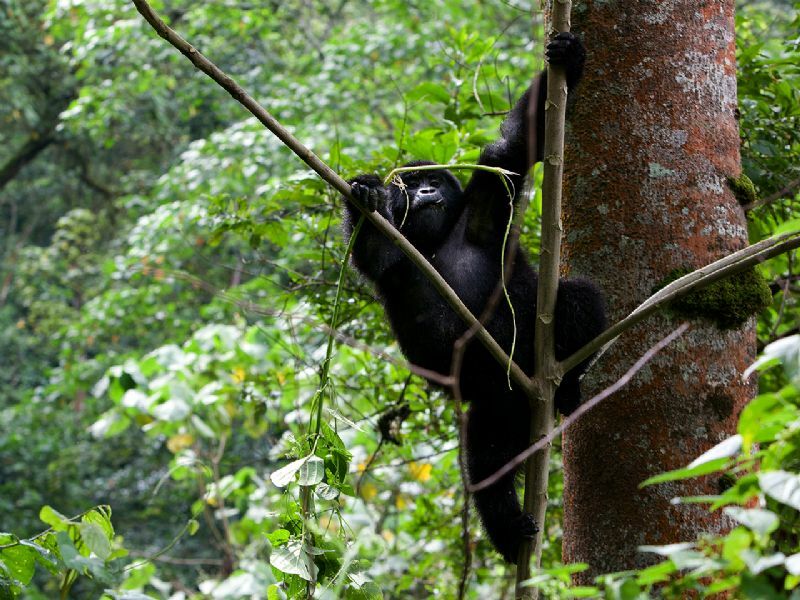 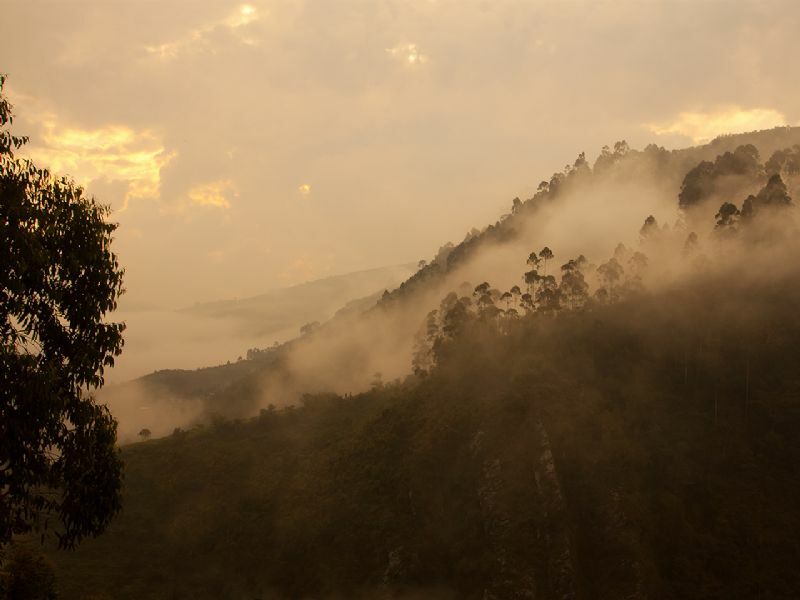 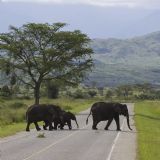 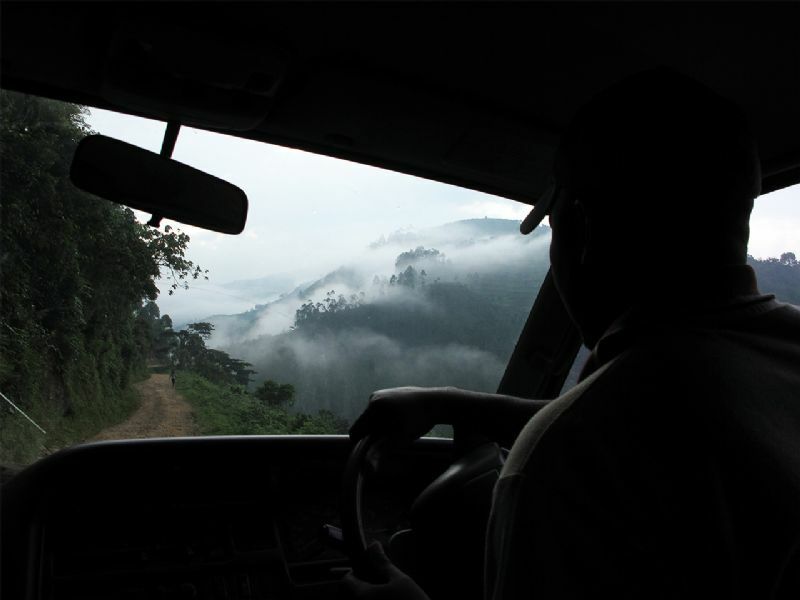 The Bwindi Impenetrable National Park is located in southwestern Uganda. 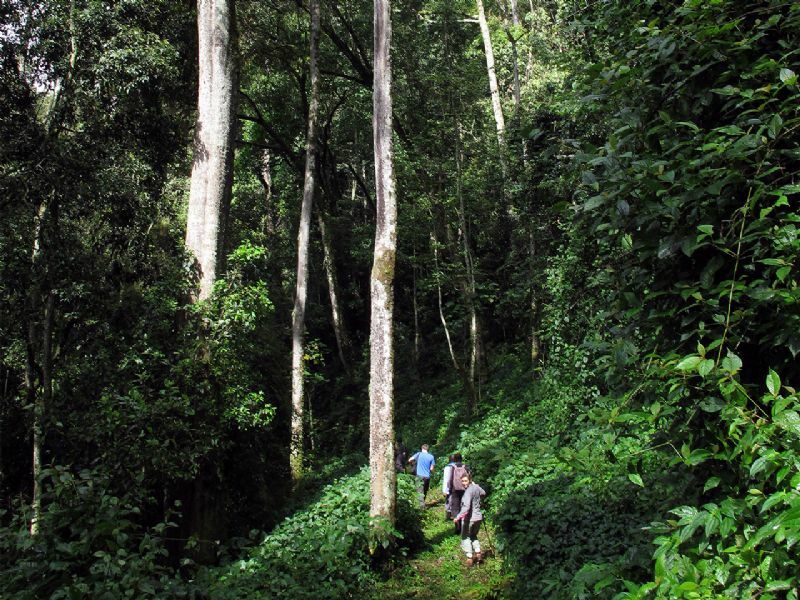 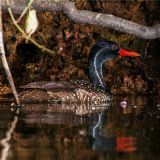 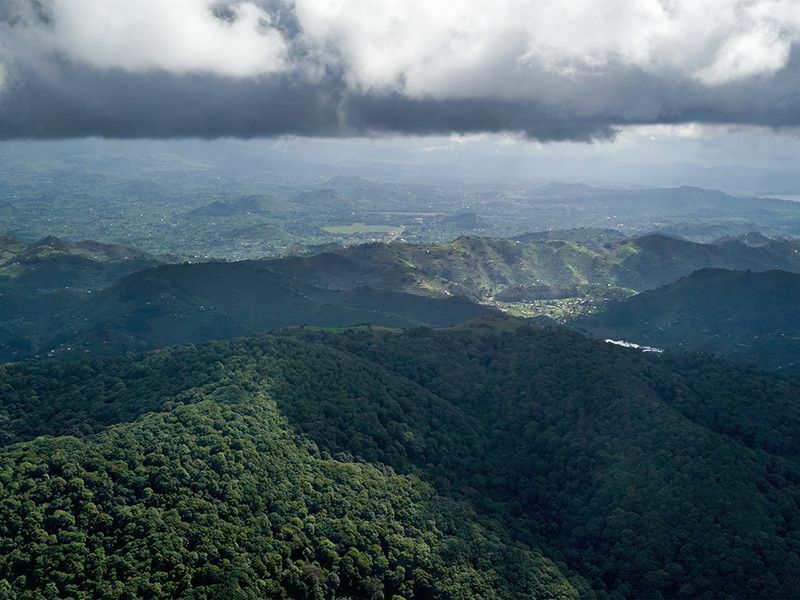 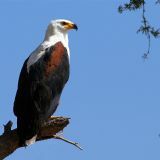 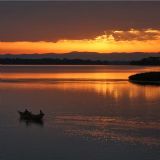 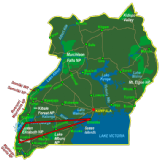 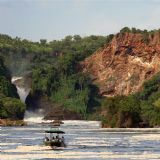 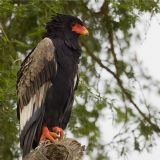 It comprises 331 square kilometres of jungle forests and contains both montane and lowland forest. 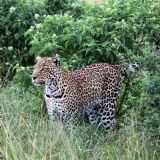 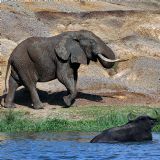 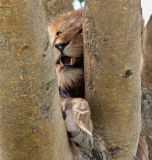 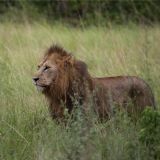 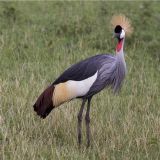 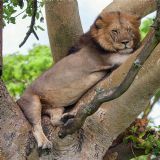 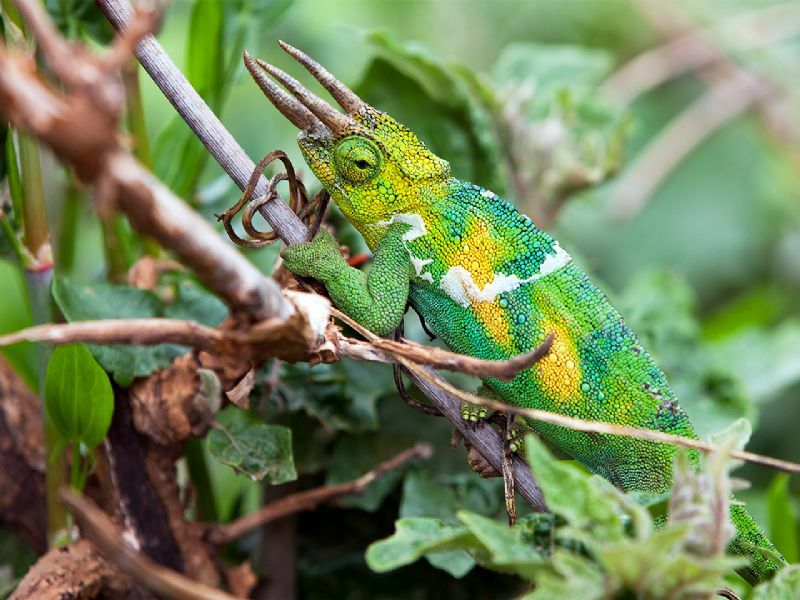 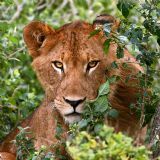 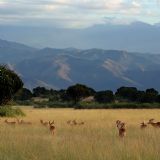 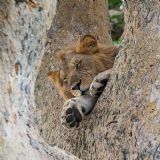 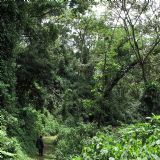 The park provides habitat for 90 species of mammals, including 11 primates, 346 species of birds, 202 species of butterflies, 163 species of trees, 100 species of ferns, 27 species of frogs, chameleons, geckos and many endangered species. 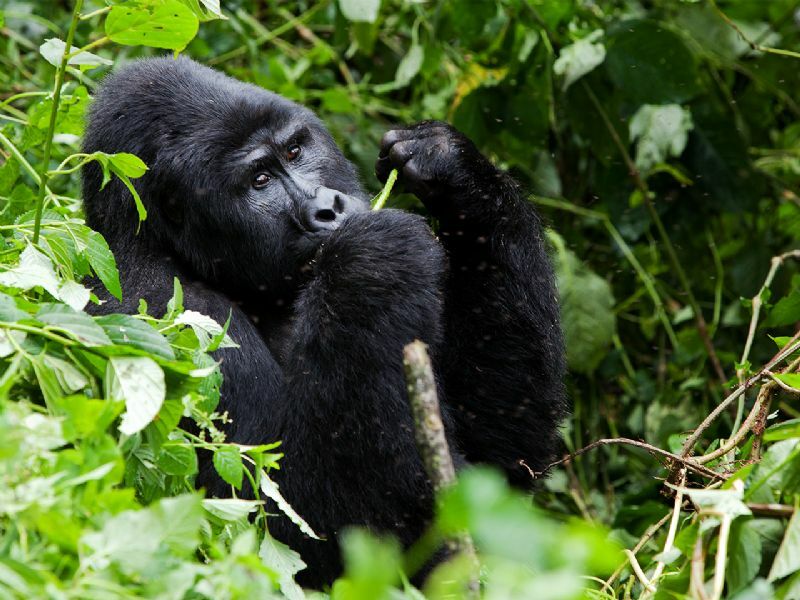 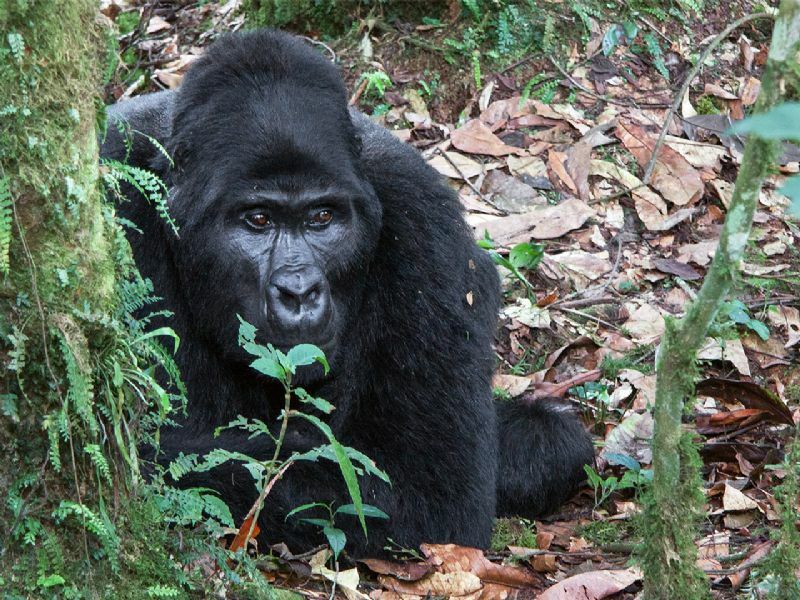 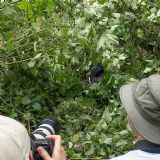 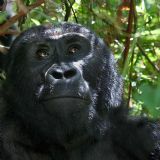 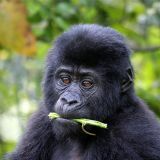 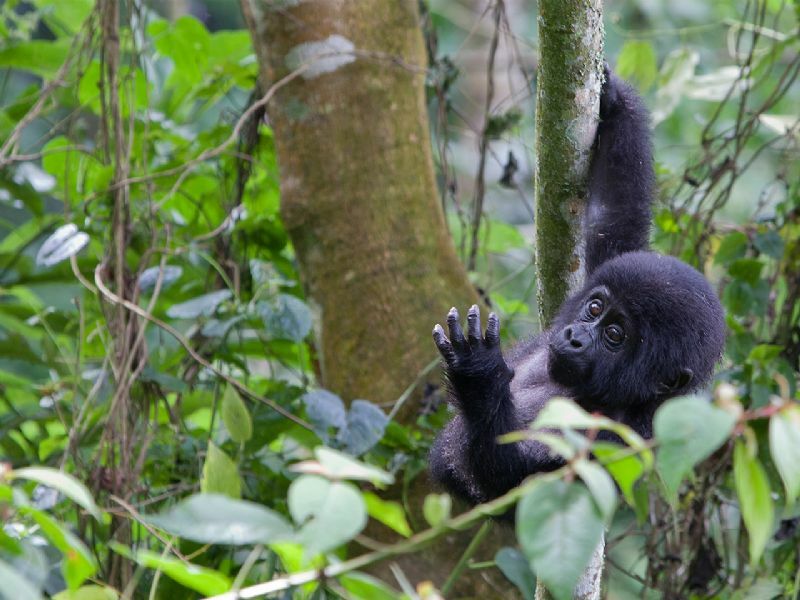 The park has about 340 individual mountain gorillas. 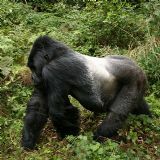 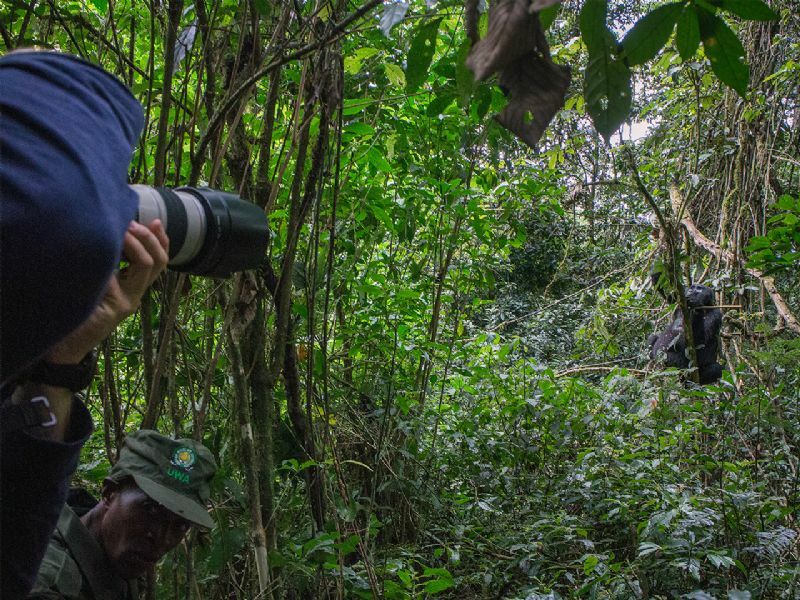 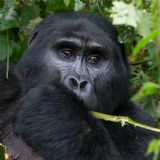 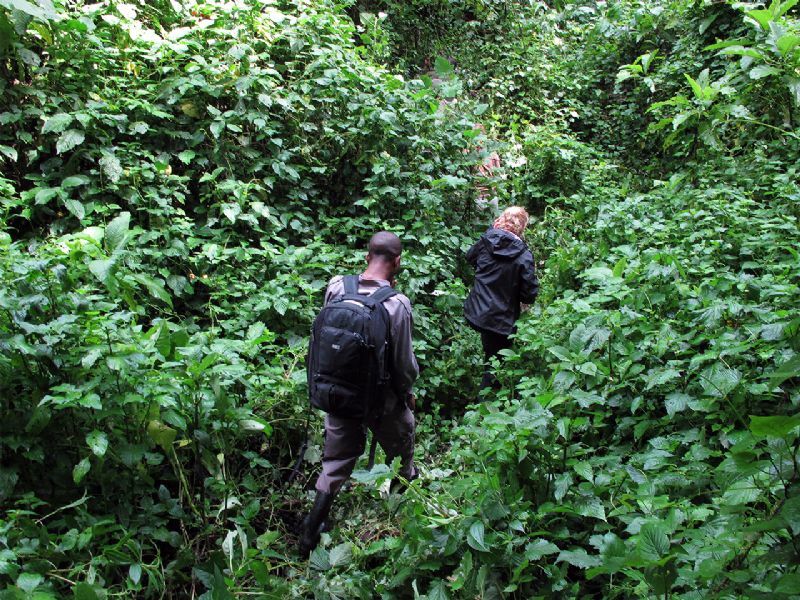 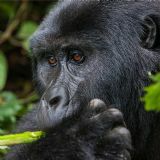 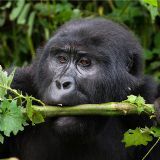 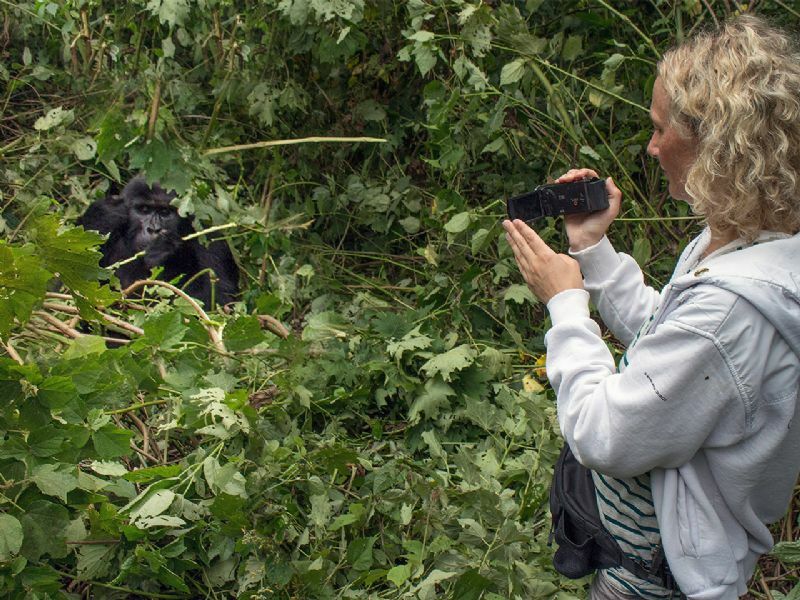 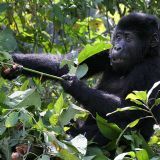 There are four habituated Mountain Gorilla groups open to tourism: Mubare, Habinyanja, Rushegura near Buhoma; and the Nkuringo group at Nkuringo.